Another New Comic Book Day is fast approaching and this week hwe got a triple-threat from my three favorite indie publishers! Hit the jump to check out some of the new comics hitting the shelves at your local comic book shop this week. Aliens came to Earth to build what humanity thought was a diplomatic center. Turns out the Port of Earth is basically an intergalactic gas station. Alien visitors are never to leave the port, ESA agents step in if they do. But no human has ever stepped foot on the Port of Earth itself. Until now. I love what we see of the Port itself this issue. There are over a thousand miniature habitats inside of it that are designed for the many different alien visitors who may visit the Port of Earth. It reminds me a lot of the City of a Thousand Planets from Valerian. You’re in a swamp one second but the moment you go through a door you’re in a desert. The relationship between our two main ESA Agents is also expanded here. Agent Rice, the once calm and collected of the two, has completely snapped and is out to avenge his fiance. Agent McIntyre on the other hand, who joined the ESA just to kill aliens”, is the voice of reason trying to convince Rice to turn around. 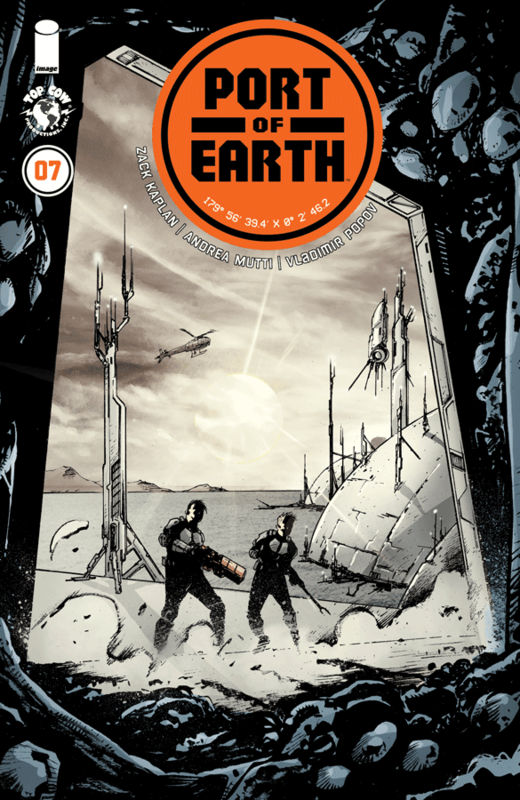 Port of Earth is imaginative and thought-provoking and every issue leaves me wanting more. You can catch up with Vol. 1 by clicking here. and pre-order Vol. 2 here. 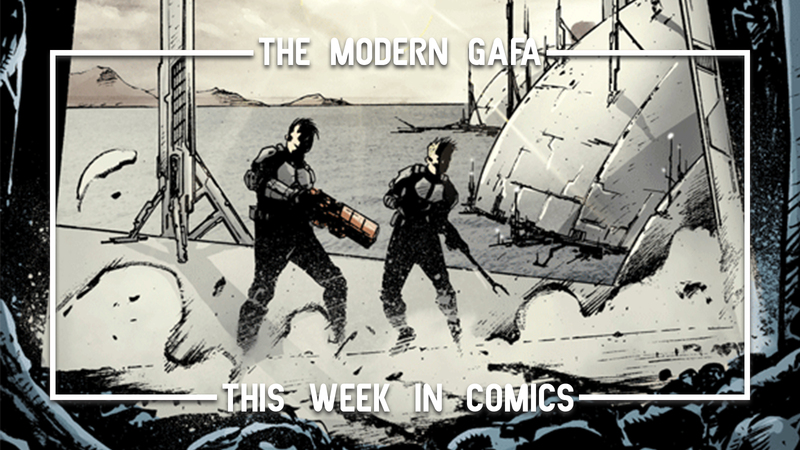 Under the Sharg's assault, the cadets are forced to put their trust in mankind's most dangerous creation: Hero Force 2. Unfortunately, this means sacrificing one of their robots - and Stanford Yu’s own Buddy has volunteered. As Buddy prepares to sacrifice himself, Yu does everything he can to save the world without losing his friend. There’s a beautiful two-page spread where Buddy shows Yu all of their memories together - I think this is the closest a comic has ever made me cry. This issue did a great job showing the bonds between our characters. Not just between the cadets and their mechs, but their parents too. Just like Stanford Yu, every page of this book is filled with heart and emotion and I can’t wait to see how it ends. Get caught up with Vol. 1 here and pre-order Vol.2 here. 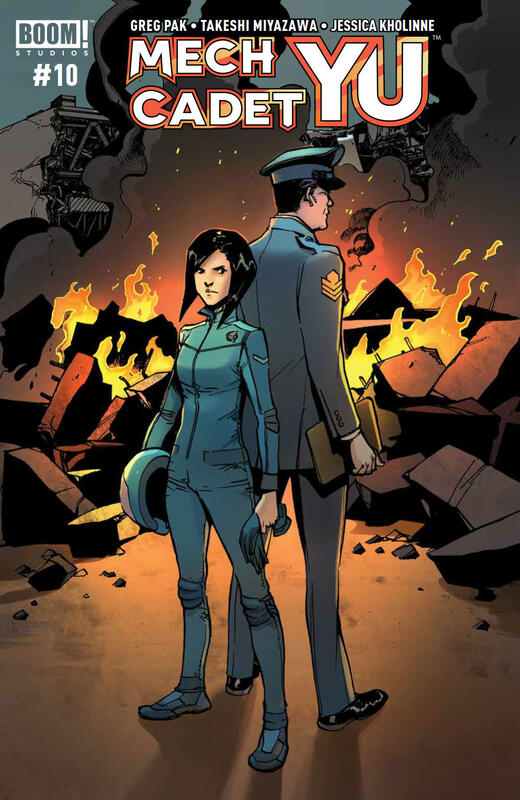 The second comic series to come from the mad mind of Mark London kicks off with an explosion - one that takes out the titular Midnight Task Force in less than three pages. The lone survivor of the military squad is Aiden McCormick. Losing his comrades has broken him and left him with more than a little emotional baggage. 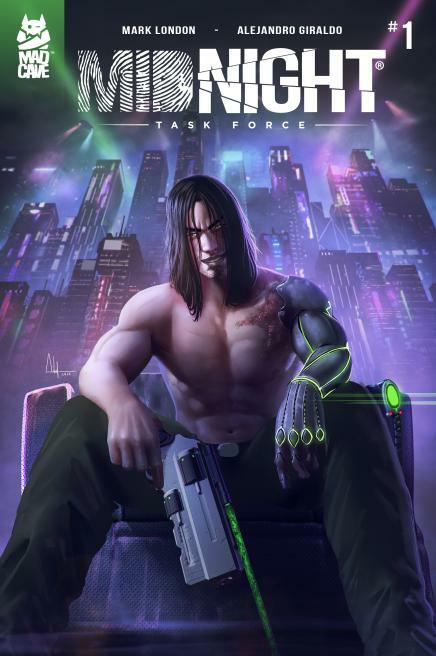 Midnight Task Force isn’t just another cyberpunk detective story. Aiden has three little voices in his head that seem to be the other three members of the Task Force. How exactly did that happen and what does it mean for Aiden? Like some of the best detective stories out there, Midnight Task Force’s most interesting mystery is happening within the detective himself and not on the crime-ridden streets of Detroit. Written and illustrated by Derek Laufman, Ruinworld follows intrepid adventurers Pogo and Rex on a quest for fame and fortune. Their discovery of a special map leads them on an epic journey through dangers, demons and old enemies. There’s one tiny problem—they’ve already lost the map. 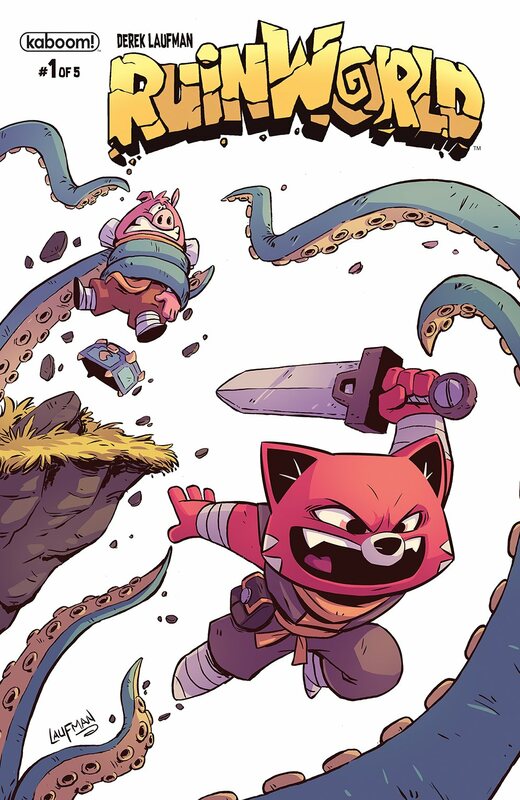 RuinWorld takes place in a world reminiscent of dungeon crawling RPGs and all of its inhabitants are cute and cartoon anthropomorphic animals. There’s swords and magic and foxes and pigs. That’s my kind of comic! After just one issue I am already bummed that this is just a 5-part limited series, but the creators did a great job of jamming so much creativity in every panel. Especially the scenes in Trader Town, which is straight up an MMORPG hub, there is nonstop imagination with different kinds of animals setting up all kinds of shops and item stands. I love it and I want more. If you still have any reservations about the Power Rangers comics, you need to pick this up because it will completely change your mind. 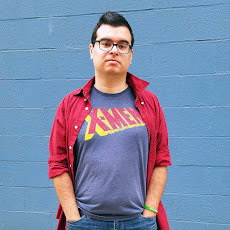 While Mighty Morphin Power Rangers, BOOM!’s first ongoing Power Rangers series, deals with the lore and some bigger moments, Go Go Power Rangers focuses on the small character moments. In my opinion, it’s the best-written character stuff in the entire franchise. In other words, you absolutely should get it. It’s in comic shops this week and available everywhere else next week. Click here to pre-order your copy today. This wraps up the storyline started in the first volume and then goes into a few one-off stories that each tell a different sort of tail. We see Luvander, a dragon in human form, meeting different people and trying (but not always succeeding) to help them out. My favorite is a silent story told almost entirely with images. We also see a Council of Dragons story that delves into Lu’s backstory. Scales & Scoundrels is a fun dungeon-crawling fantasy comic, so if you’re into that sort of thing you should check it out. It’s out in comic shops this week and you can pre-order it on Amazon by clicking here.